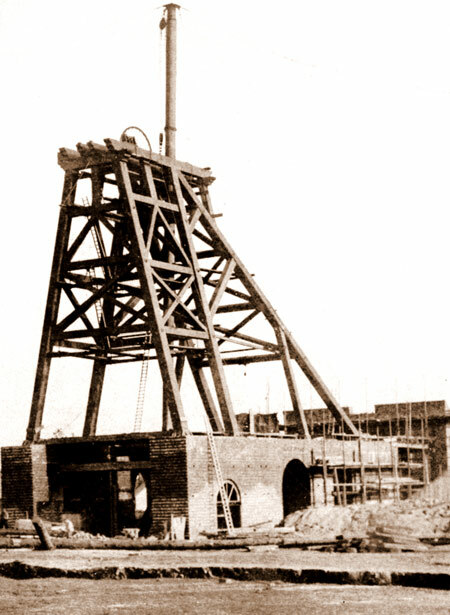 Rufford colliery (Nottinghamshire) 2 shafts were sunk in 1911-1913 by the Bolsover Colliery Co. 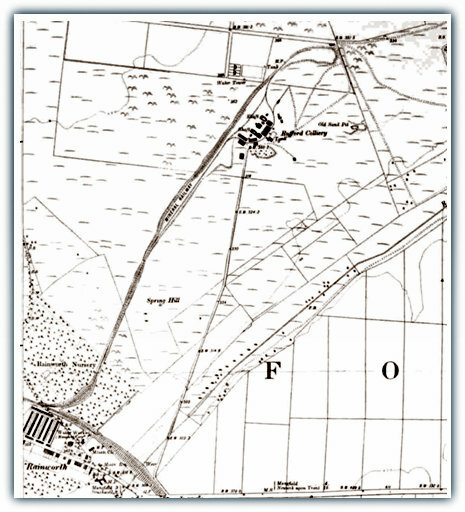 It was ideally situated as far as mines go, as it was about one mile away to the north from new Rainworth village built by the company and some 5.63km to the east of Mansfield. Some rows of houses had also been built adjacent to the main road at old Rainworth, above the water reservoir and pumping station. The village of Rainworth had 865 houses and a Miners Welfare and the Robin Hood pub stood at the junction. Miners were enticed to the colliery from Scotland, Durham, Northumberland, Lancashire and North Wales, apart from men in the local area as there was promise of security and above average wages. The mine was closed the week after Calverton closed on 26th November 1993 after 82 years. Shaft positions: SK56 South East, No1 shaft 459583, 360077, No2 shaft 459543, 360017, No3 shaft 459718, 360183, 355 feet (108m) above sea level. Dirt produced was conveyed to the tip by conveyor and removed at the delivery point by a bulldozer and then consolidated and graded by scrapers. 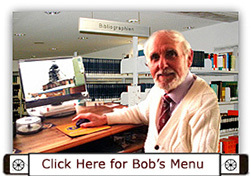 2 x 4wBEF CRT3+ CE 1979. Blackshale -1993 were worked previously. In 1928 coal cutters were installed but conveyors on the face were installed in 1931. Single shift coaling was begun in 1932. 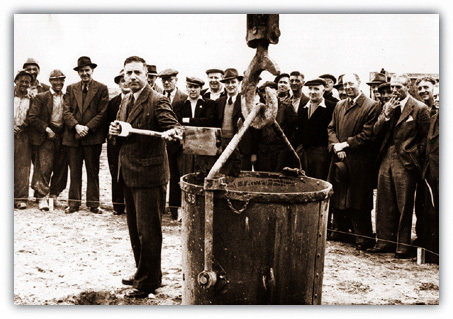 A new washery plant to deal with smaller coal was commissioned in 1933. By 1934 all the faces had been fully mechanised. A flocculation plant was built in 1939. Pithead baths were opened in 1941. The first Meco-Moore machine which was a cutter loader was pioneered here in 1941. By 1945 a new improved version of the machine was introduced. Joy loaders and shuttle cars were also introduced for a time. A borehole to prove the lower seams was done. The distance to London by rail was 145 miles. 3/5 of the market was for the steel industry at one time. 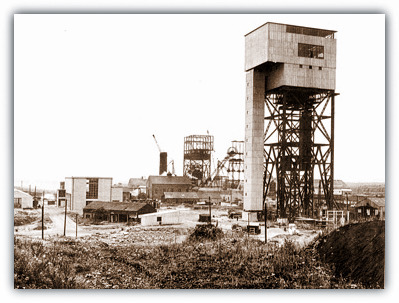 A new Coal preparation plant was built by Birtley Engineering Co 1959, at 800 tons per hour.2 Baum wash boxes. Dirt to tip by conveyor and spread by bulldozer. New fan 1956, 168” dia (4.3m) 2 stage axial flow Walker Macard, duty 470,000 cu ft per min, 9.3” (0.24m) water gauge. Methane drainage via shaft pipe to surface vacuum pumps to nearby sewage works in 1969 and then for use in new boiler plant, commissioned in 1973 which gave hot water to the pit-head baths and canteen. 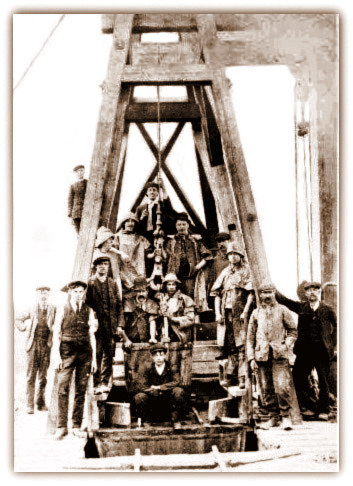 No2 shaft at 18 feet (5.49m) diameter was deepened to 858 yards (784m), and headgear 151 ft (46m) high and No3 shaft at 24 feet (7.32m) diameter was 877 yards (802m) deep, with headgear 198ft 6in (60m) high. The No2 shaft was deepened and a new No3 shaft sunk 4th July 1952-15th Dec 1956, 12 ton skips for Low Main and Yard seams. Tower mounted 4 rope tower mounted Koepe friction winding installed, No3 shaft tower 198’ 6” (60.5m). A loco shed was built in 1961 and new offices in 1962. New surface workshops were also built in 1962. A pit bottom tippler for loading loco hauled mine cars was operational in 1963. New heapstead buildings and extension to pithead baths, new canteen and medical centre opened in 1965. Wilfred Miron Chairman of the East Midlands Division visited the mine in 1966. 1976 skips in No1 with 400 tonne bunker and conveyors for High Hazles, replaced diesel locos and 4 tonne mine cars. This was part of the reconstruction scheme. In 1978 No1 shaft ground mounted electrically driven parallel drum winder, shaft gear automated, and push button winder at No2 in 1979 and No3 shaft automated. No3 shaft disc brakes in 1980, and No2 in 1981, Manriding cage could hold 90, and counter weight. Connections were made to Bilsthorpe, Clipstone and Mansfield at Top Hard level and Clipstone (1968) at Low Main horizon. Manriding to High Hazles and Low Main seams by endless rope and approved gate conveyors. Colliery newspaper was the ‘Rufford Review’. Roof bolting was introduced 1985/86 firstly at 206s loader gate using a Perard TMT100 machine. Later in 1986 a Mindev machine was used in 206s Supply gate and a TMT100 and Mindev on 206s face head. An unusual Palm Tree Junction was constructed during the year. Underground booster fans were installed to increase the ventilation flow. By the 1990s 806 men worked the Yard/Blackshale, a thick combined seam. 3m thick with BJD B63 Supermatic shearer, 72” x 24” (1.83 x 0.61m) drum, Dowty 4 x 450 chock shields, face lighting, Heavy duty panzer with side discharge conveyor, 300hp motors and 400hp rated gearboxes. Manpower cuts were carried out and the workforce was wittled down to 226/50, plus 61/48 contractors. 3 horizontal bunkers were incorporated in the coal clearance system allowing coal to be off loaded at times of over production. Manriding facilities were by endless rope and conveyor. Materials transported underground by battery locos in the pit bottom then endless rope haulage inbye. 6 faces were working in 1986. Headings had monorails to convey drivage materials to the head end, as shown. New 8 wheel bogie transporters. 193 Gullick 3 x 200 chock shields installed in one piece in the thin seam, with a MMC pan pusher.